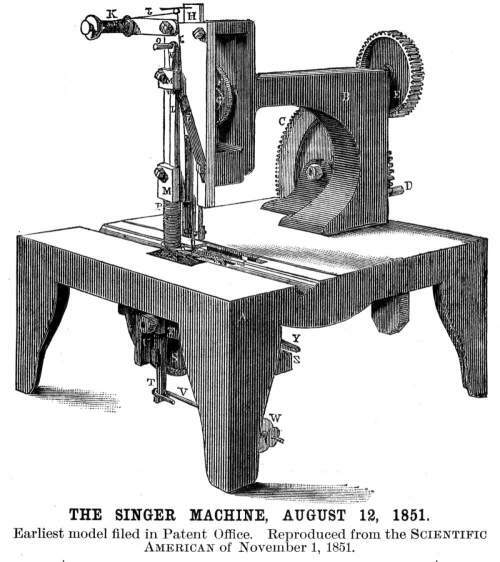 12 August 1851: Isaac Merritt Singer patents the Singer Sewing Machine. Singer designed his sewing machine while working in a machine-shop in Boston. 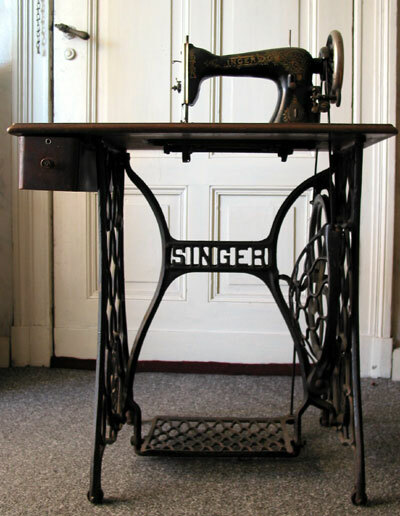 After being asked to repair a sewing machine, Singer redesigned the machine in order to create one that was more practical than machines that were available at the time. Thanks to a rigorous marketing campaign, within a decade the Singer Sewing Machine company dominated the market. Singer sewing machine table. Click here for photo credit. As the above photo shows, the first model was quite different from the iconic treadle machine from later in the nineteenth century. The Singer ‘model A’ was first sold in 1859, and was the first successful model in the iconic style. The first Singer model ‘New Family’, introduced in 1856, was the mass-produced model that cemented the company’s success. Variants of this hand-crank sewing machine were produced until the early twentieth century and, as these photos show, the machine had the advantage of being portable. A well-made machine, some Singer hand-crank sewing machines remain in use today. As a final note, while Singer is best remembered for his sewing machines (indeed Singer sewing machines are still some of the best on the market) Singer himself is something of an interesting figure. His work in the machine-shop that led to the sewing machine design was but one of many jobs. 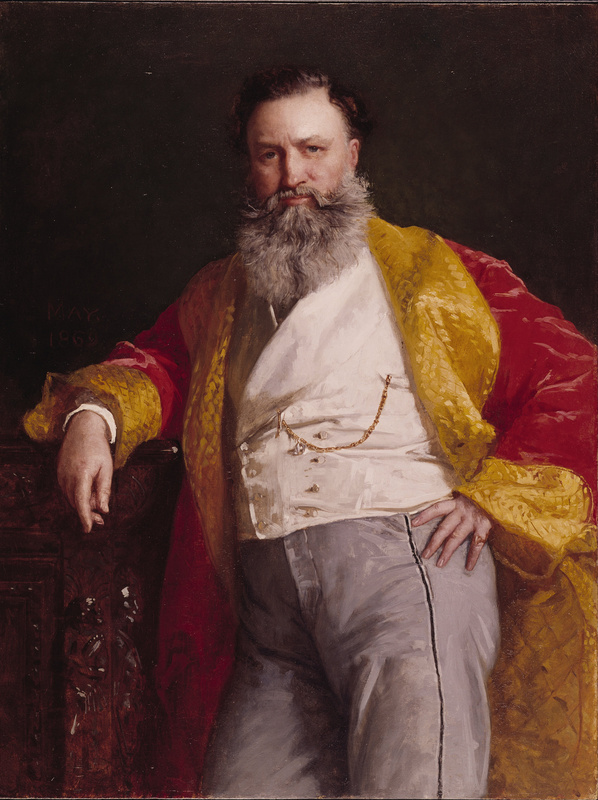 Singer was also an actor, and took roles whenever possible. He would also work as a labourer, carpenter, and machinist as needed. A man with an oversized personality, his efforts in sales and payment plans did a lot to promote the brand in the early years.